Home / Box of Dread / Unboxing / BOX OF DREAD (October 2015) | Horror Unboxing - Deathgasm & Creepshow! 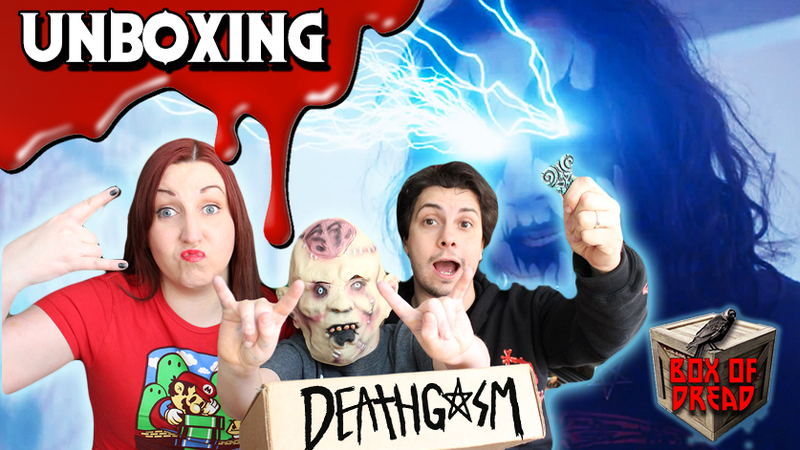 BOX OF DREAD (October 2015) | Horror Unboxing - Deathgasm & Creepshow! Gory B. Movie and Danny Knightmare open October's Box of Dread with a little help from LOLZ. This month there are Deathgasm, Paranormal Activity and Creepshow items! Reviewing all things horror (ie movies, books, trailers, subscription boxes, games and more) on YouTube. We also post parodies, giveaways and interviews. Spooky & kooky. We're like the Addams Family if they were a bunch of nerds. If you love horror and humor, this channel is for you! Proud members of the #CryptFamily.